Welcome to Leather Armory! Also known as Leather Works by Willow's cosplay page. If you've ever wondered how to make leather armor, what goes into armor design, or how to make cosplay props, then Leather Armory is exactly where you want to be. I write do-it-yourself blogs recounting the steps I took in order to show you how fun it can be to create cosplay armor. This is the costume that got me into leather crafting. Back in 2010, I really wanted to cosplay as a Mord-Sith (from the television show Legend of the Seeker, based off of Terry Goodkind’s Sword of Truth book series). I don't know if you were in the cosplay community back then, but I had no luck searching for a cosplayer that had already created the costume. What's a girl to do? Well, I read up on different techniques on creating leather armor and created several works of art. 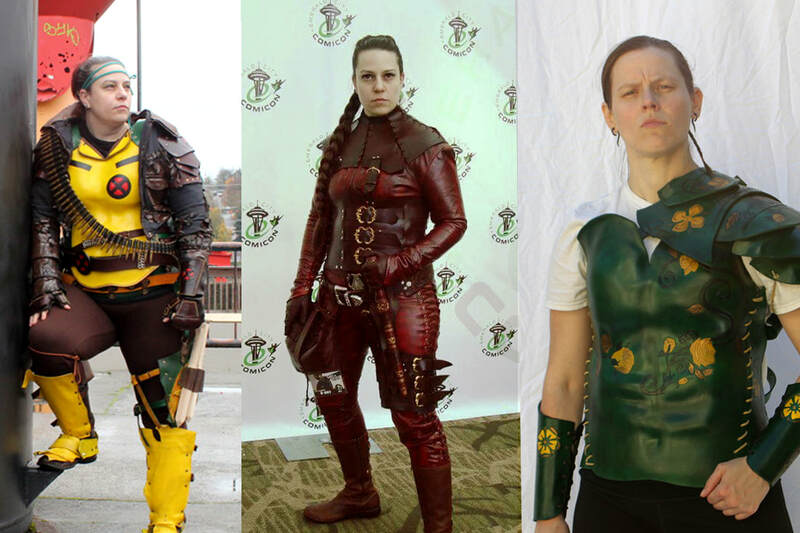 Now I have a four part blog that covers that costume in detail, Building the Mord-Sith Armor. If you're like me, spandex is not your friend, so I didn't want to go with the traditional spandex onesie for Rogue. I wanted something that would be at home in my leather armory. This leather clad superhero outfit is a work in progress and is constantly evolving into the favorite female leather armor. I wrote the blog Going Rogue a two part blog that covers how to make leather armor by boiling and shaping as well as showing off my love for this character. 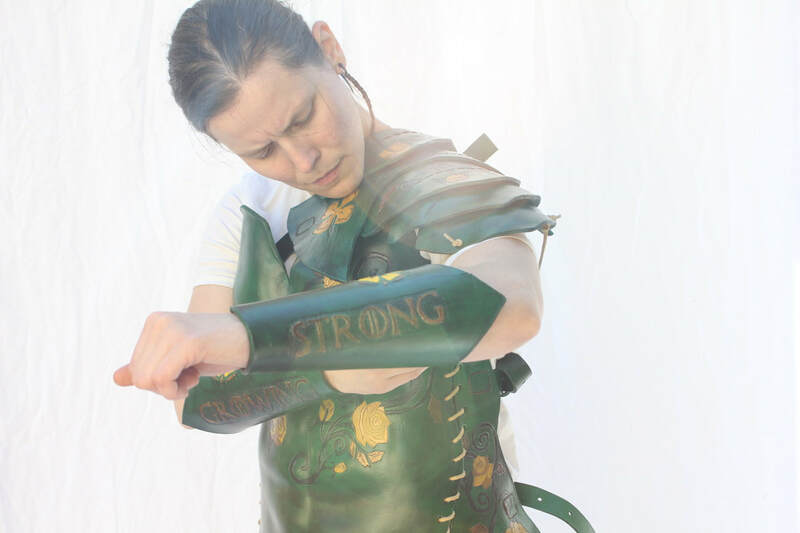 I made this boiled leather armor to celebrate three of my great loves, historical replicas, leather, and Game of Thrones. 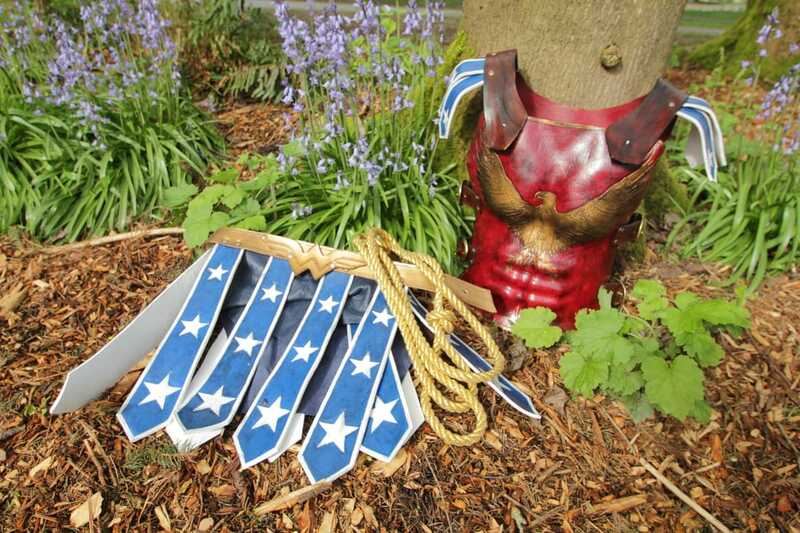 This outfits main focus consists of a leather breastplate, but also contains a shoulder pauldron and bracers. I later added a Roman inspired leather skirt so that I could carry my sword, knife, and a bag for attending events. I first made all the costume pieces for this cosplay and wrote about it in Creating TWD's Daryl Dixon. Then I bought a wig so now I have two blogs about everyone's favorite Atlanta survivor, Daryl Dixon Wig Tutorial. 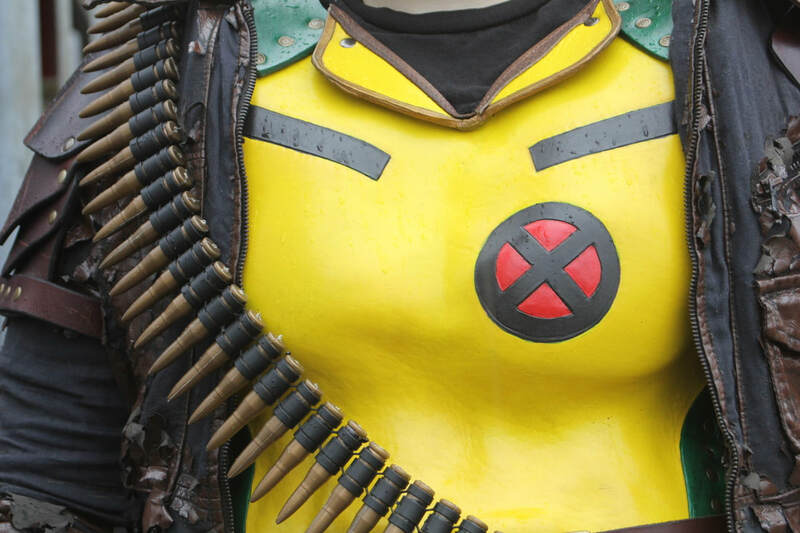 This DIY cosplay costume was mainly centered around materials other than...leather!?! Shocking I know, but sometimes I need to stretch my skills to know what my limitations are. And I know that I promised word on how I made my arrows, and you can clearly see one in the photo with me and fellow cosplayer, Tina Rivets, that post will be coming soon. Willow cosplaying Lexa from CW's The 100, photo taken by Diana Scheel from Cat in the Moon Photography. For my Lexa cosplay, you can always check out the various blogs I have written about the challenge of bringing this character to life. I have a Lexa (The 100) Bracer Tutorial, Lexa Kom Trikru (The 100) Wig Tutorial, and How to create Lexa's pants (The 100). By listings these out, I realize that I never wrote one on making her shoulder pauldron out of expanding foam, and now I am working on a pauldron made from a used tire. These blogs will also be coming soon. 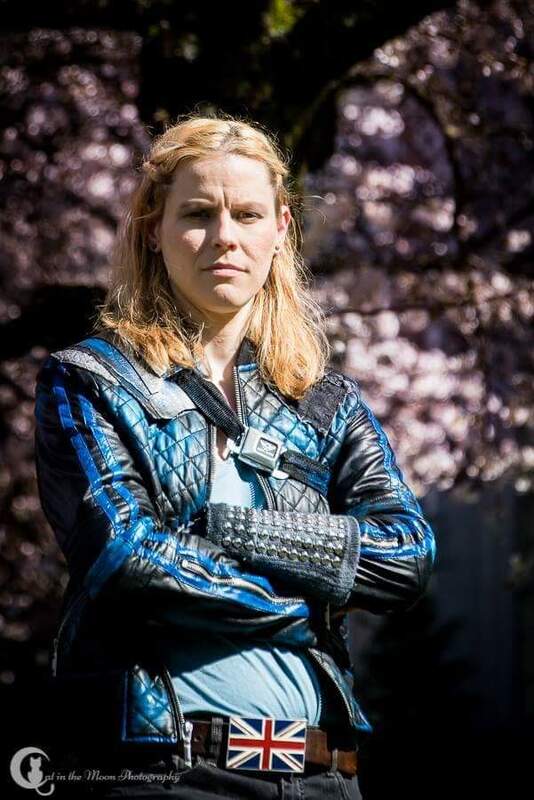 Erin cosplaying as Clarke Griffin from CW's The 100, photo taken by Diana Scheel of Cat in the Moon. Clarke Griffin is a rather simple cosplay, especially second season Clarke. Dark blue jeans, light blue t-shirt, a black and blue bomber jacket, and blonde hair is all you really need to complete the look. I've written Clarke Griffin (The 100) Wig Tutorial and Clarke Griffin kom Shaikru (The 100) bomber jacket. Shoulder pauldron blog coming soon.